You deserve to be cozy and comfortable in your own home. But what happens when the air conditioner goes out or the furnace just isn’t working the way it should? As a homeowner, you know that these things happen from time to time, which is why it’s important to have a reliable HVAC service on your side. 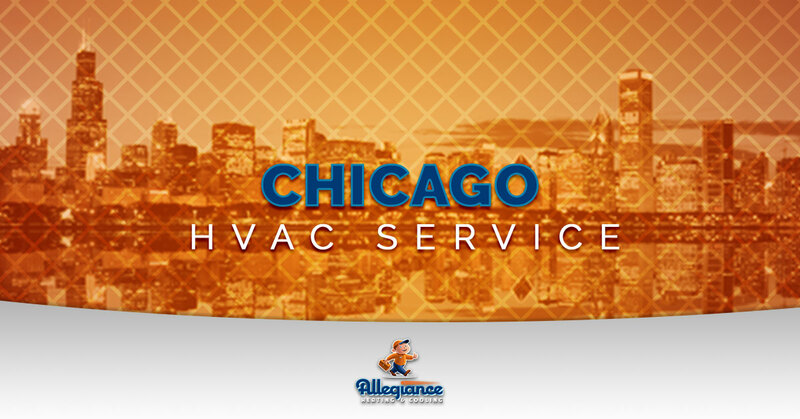 Chicago residents have relied on Allegiance Heating & Cooling for more than a decade. As a family owned and operated business, we do things differently than our local competitors. Our team prides itself on prompt arrivals, respect for the customer’s home and property, competitive pricing, as well as a lifetime guarantee. You won’t find more experienced HVAC technicians than the ones at Allegiance. Over the years, we’ve seen just about every heating and cooling dilemma imaginable in this industry. From geothermal systems and mini-split duct systems to hot water tank service and hybrid HVAC systems, Allegiance has you covered. We deal with some serious cold here in Chicago. At Allegiance, our seasoned professionals can help keep your family warm and toasty even on the chilliest nights. Home heating repair services range from generator repair to ductless heating systems. Never will Allegiance try to sell you on a new system unless it makes more sense than maintenance. As you’ll see for yourself, transparency is a major emphasis on our team. Please don’t hesitate to ask us about furnace service. No homeowner wants to deal with a faulty air conditioner in the middle of summer. At Allegiance, your family’s comfort is our No. 1 priority. You can count on our HVAC contractors to help you get the most out of your system, whether it’s brand new or you’ve had it for years. Residential air conditioning repair shouldn’t have to break the bank. In fact, we guarantee our work for the number of years you own your home. You won’t find that kind of an accountability from another HVAC company. It’s time to experience the Allegiance difference. Call now for a free quote.